Not long ago, city-owned facilities and college buildings were named after local politicians or generous alumni. In recent years, however, the names of for-profit businesses increasingly are appearing in nonprofit places. The change is the result of the use of corporate naming rights to help fund public projects. In exchange for a sizeable donation, the company gets the right to have its name on the building. 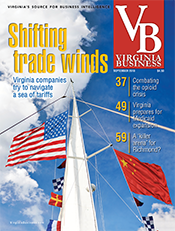 Virginia Business looks at how this trend is catching on in the commonwealth as part of its Generous Virginians issue. 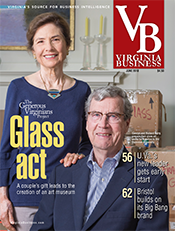 The Generous Virginians Project, begun in 2010, looks at trends in philanthropy while compiling major donations by individuals, corporations and foundations to Virginia nonprofits. In examining corporate giving, we look at the use of naming rights to finance projects like the renovation of Richmond’s iconic Landmark Theater and explore the tax treatment of this type of contribution. 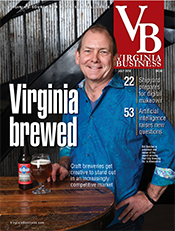 The magazine also looks at a new wave of social entrepreneurs whose business model includes charitable contributions as well as profit. Every time Kathryn Wiley sells a baby sling in the U.S., she donates one to Haiti. 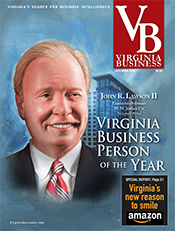 In addition, we examine the recent gifts of some of Virginia’s leading individual philanthropists. 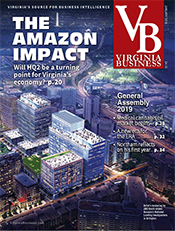 The gifts of real estate developer Guy Beatty and his wife, Betty, are aimed at improving health care in Northern Virginia and Franklin County. 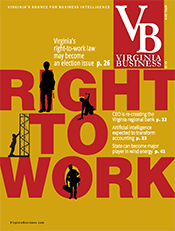 The Generous Virginians Project also shines a spotlight on the efforts of nonprofits to make a difference in the commonwealth. 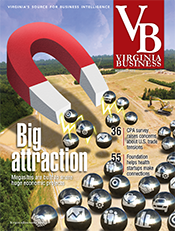 This year we look at two nonprofits that have been revitalized. One, the Appalachian School of Law in Grundy has carved a distinctive niche for itself in natural resources law a decade after a surviving a devastating blow, a triple murder that took the lives of the school’s dean, a professor and a student. 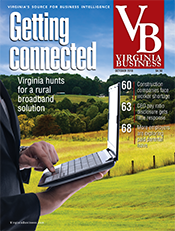 The other nonprofit group is Keep Virginia Beautiful, which celebrates its 60th anniversary this year. The litter-fighting organization is raising money and its visibility after being overlooked for many years. The Generous Virginians section is capped off with an interview with Sheila Johnson, the co-founder of BET and a noted philanthropist. Johnson’s newest projects include the launching of a scarf collection with a portion of the sales earmarked for charity, opening a long-anticipated resort in Middleburg and investing in a movie about an African-American butler who served in the White House under eight presidents. 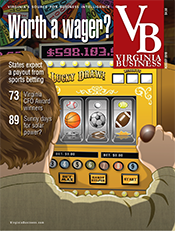 The magazine contacted about 600 companies and nonprofit organizations. 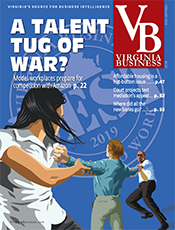 In addition, the magazine reviewed many public records, including nonprofit annual reports and forms filed by foundations with the IRS (form 990). 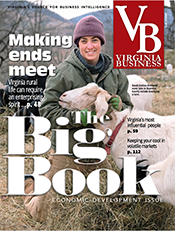 Virginia Business asked businesses and grant-making foundations to provide their top 15 donations of at least $25,000 during 2012. The magazine likewise asked nonprofit organizations to identify the top 15 donations they had received last year. While the survey did not include gifts made since Jan. 1, 2013, a number of major recent gifts are noted in stories in this section.